Residents of Charlestown’s Pleasant Ridge are fighting to preserve their neighborhood of 1940s pre-fab housing developed by the U.S. Army. When the U.S. Army selected Charlestown as the location of its black powder plant in the run up to World War II, the sleepy Clark County community experienced a tremendous population boom, growing from 900 residents to over 13,000 in little more than a year. Housing to accommodate all the new residents — as well as workers who had been commuting up to 80 miles one-way to work at the plant — became an urgent need. To absorb the influx, the federal government constructed a residential development on the edge of town, optimistically dubbed Pleasant Ridge. More recently, the neighborhood itself has become ground zero in a battle between city officials who want to redevelop the area and neighborhood residents passionate about preserving their homes. 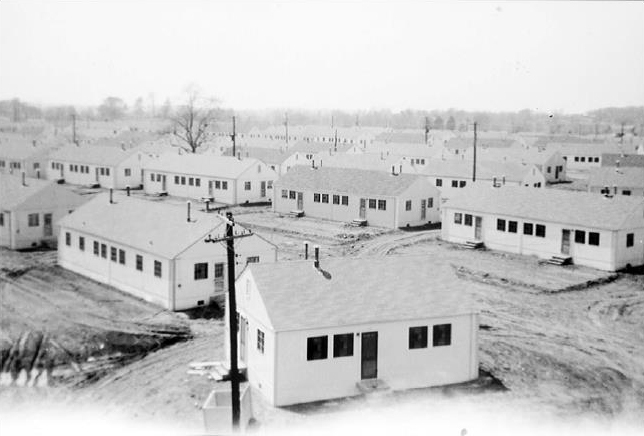 Like many other wartime housing developers, the officials in charge of Pleasant Ridge relied on pre-fabricated housing to expedite construction. In February 1942, the Gunnison Housing Corporation of New Albany won the contract to manufacture 750 of its prefabricated “Miracle” model homes – a mix of single homes, duplexes and triplexes – for the new subdivision. Gunnison’s pioneering manufacturing process allowed production of one house per hour. Built of tough plywood panels with windows and doors pre-installed at the factory, the homes could be completely erected and ready for occupancy within three days. 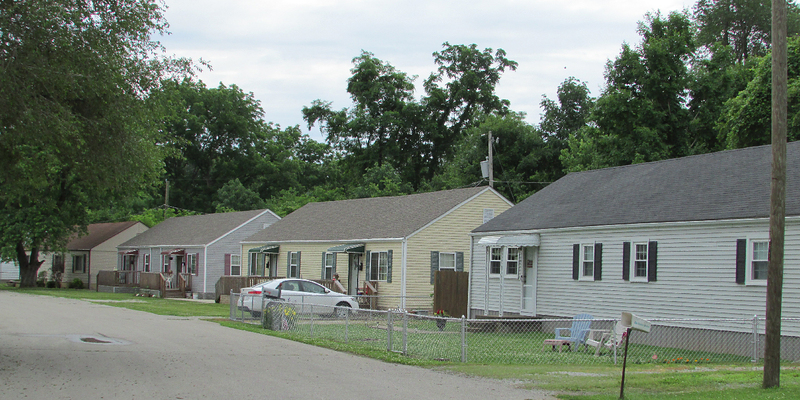 Each house arrived by truck in modular sections, assembled on-site and ready for occupancy within three days. The neighborhood is one of the earlier prefabricated home developments associated with World War II. Though several houses have been demolished over the years, it remains one of the largest collections of Gunnison Homes in the country. The homes cluster on curvilinear streets, designed to foster social cohesion in a time of national upheaval. After the war, the neighborhood continued to thrive, but today its future is uncertain. Several dozen homes are vacant, purchased by a local developer who plans to replace them with more upscale housing. City officials endorse the plan, led by Mayor Bob Hall. Many homeowners remain committed to the neighborhood and want to preserve its historic character. Their efforts received a boost in early December, when the Pleasant Run Historic District earned listing in the National Register of Historic Places. 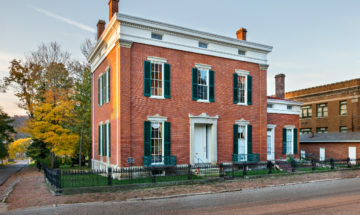 A grant from Indiana Landmarks’ Partners in Preservation Program helped residents hire Camille Fife, a preservation consultant from Madison, Indiana, to prepare the nomination. Advocates for the neighborhood, including the Pleasant Ridge Neighborhood Association, hope the listing will help them combat redevelopment plans. 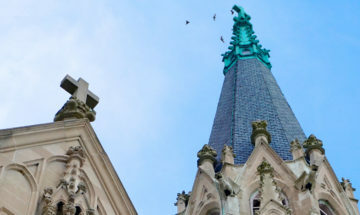 Though National Register status doesn’t offer protection from demolition, it does require any work using federal funds to go through a stringent review process. 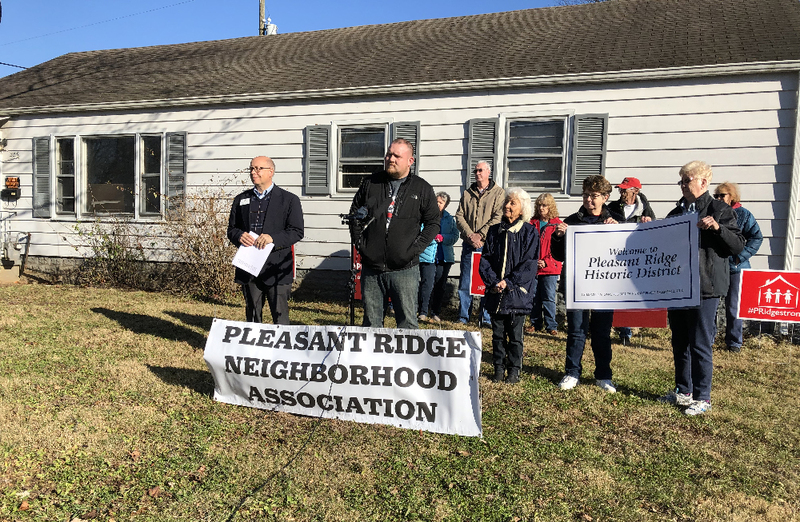 A grant from Indiana Landmarks helped residents of Pleasant Ridge nominate the district to the National Register of Historic Places. 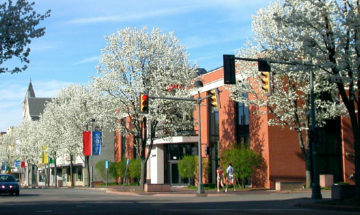 “If the city wants to use federal grants for infrastructure or other work aimed at staging the neighborhood for redevelopment, National Register status means the project would be subject to strict accountability standards and would have to prove there is no adverse impact to historic properties in the district,” says Greg Sekula, director of Indiana Landmarks’ Southern Regional Office. For more information about the project, contact Sekula at 812-284-4534, gsekula@indianalandmarks.org.